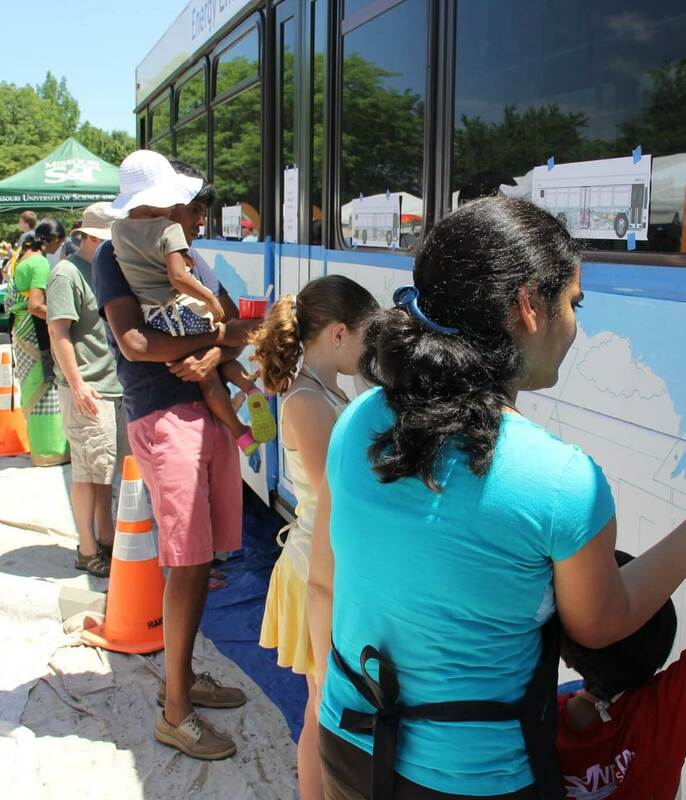 Participants of all ages are invited to help paint two specially designed eco-murals on a MetroBus at the 2015 Green Homes Festival in Faust Park. From noon to 2 p.m. on Saturday, June 20, children and adults will transform a MetroBus into a rolling work of art that will travel on routes in St. Louis County and the City of St. Louis over the next year. The Arts in Transit Bus painting is sponsored by the EarthWays Center of the Missouri Botanical Garden, and the presenting sponsor of the festival is Ameren Missouri. When: Saturday, June 20 – 12 p.m. to 2 p.m. The two eco-murals were designed by local artists William Burton and Robert Ketchens, and include bright colors and visual elements that highlight energy efficiency, sustainability and the beauty of the environment. Burton and Ketchens are well known for their vibrant murals and artwork, and for their commitment to the ongoing development of Old North St. Louis where their studio, Atelier D’Artiste 14, is located.